We work closely with the client and other interested parties to develop clear goals, which are the basis of the design. We attempt to get an understanding of the uses proposed at various times of the day and year. At this point the program will be carefully assessed, with a keen eye on budget, efficiency, flexibility and multi-use. 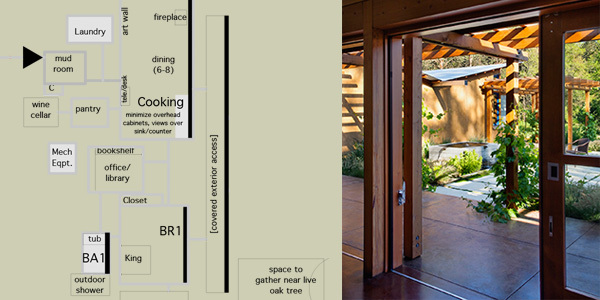 We determine which functions can be held out-of-doors, or in transitional spaces, so the building can ‘expand’ in the summer, and ‘shrink’ in the winter into cozier, more easily heated spaces.